Lieut.-Colonel Conrad Vaisey Wathen COURT, M.C. Commanded the 11th Battalion Worcestershire Regiment from July 1940 to May 1941. Conrad Vaisey Wathen Court was born in South Africa and was serving in the 3rd Infantry, which his father commanded, when war broke out in 1914. He came to England and was commissioned in The Worcestershire Regiment on the 13th March 1915, and served with the 1st Battalion in France. He was awarded the Military Cross in 1917, for gallantry as Brigade Signal Officer, 24th Infantry Brigade, and gained a bar to his M.C. in 1918, on the Somme, still as Brigade Signalling Officer. During World War 1 he was wounded no fewer than 8 times. After the war he was seconded to the Royal West African Frontier Force from 1924 to 1926, served with the 2nd Battalion Worcestershire Regiment on the Rhine in 1927 and 1928, at Plymouth in 1929 and 1930, and at The Depot in 1931 and 1932. From 1933 to 1939 he again served with the 2nd Battalion Worcestershire Regiment, in China and at Sialkot, India. In 1940, soon after the outbreak of the Second World War, he raised, at Hereford, and was the first Commanding Officer of the 11th Battalion of The Regiment, which he commanded until May 1941. Later this Battalion (at Harrow in 1943) was redesignated and became the 1st Battalion (after the 1st Battalion had been captured at Tobruk). 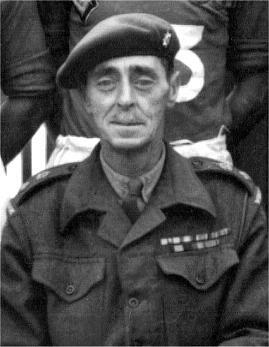 From May 1941 to June 1942 he commanded the 10th Battalion The East Surrey Regiment. In 1945 he commanded 23rd Infantry Holding Battalion and eventually retired from the army, after 32 years service, on the 6th October 1946. In 1952 he was re-employed in the Army as Staff Captain, “A” Mid West District of Home Guard. After his wife's death he moved to South Africa. Two years later, Lieut.-Colonel Court died on the 21st July 1916 at Umkomaas, Natal, South Africa, after suffering poor health for a number of months.